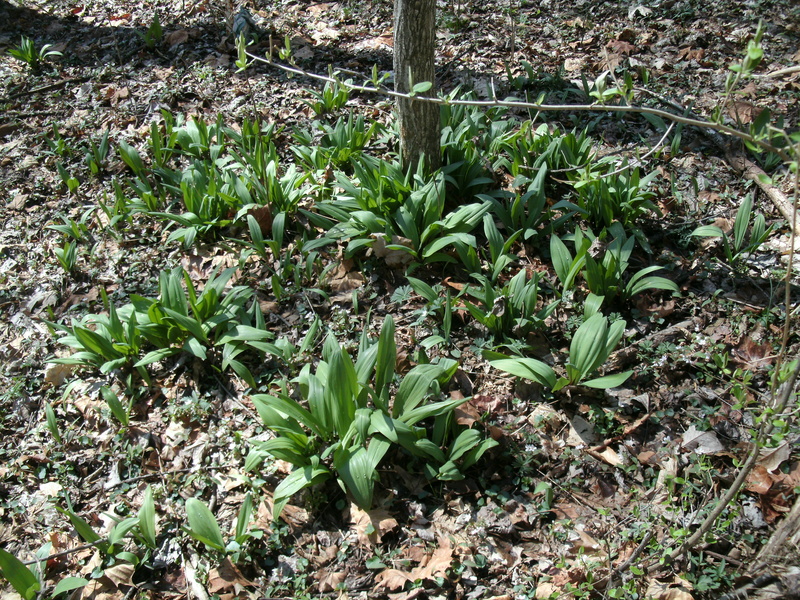 Ramp digging is a foragers delight and every spring we take off to the mountain to see if we can find some of these smelly delicacies. 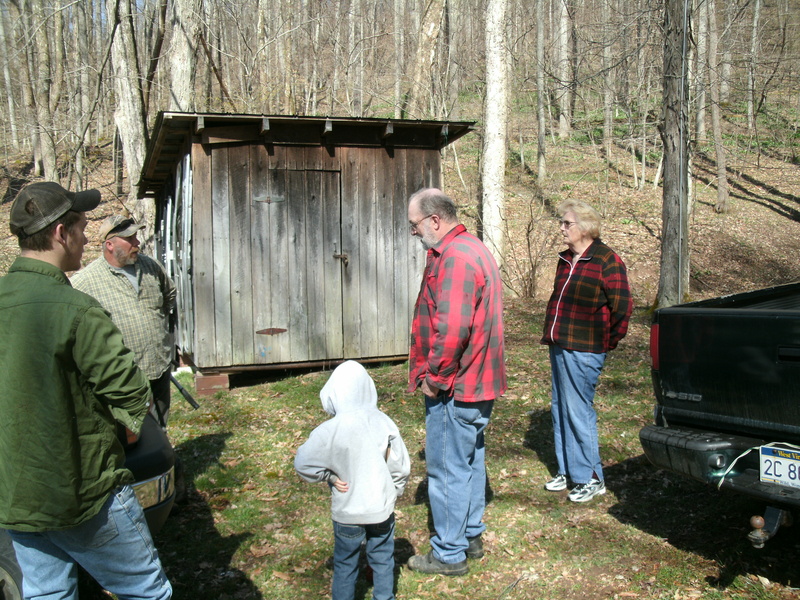 The whole family usually goes and we share our bounty with friends and family. We spend about half the day collecting the onions and spent the other half trout fishing another wonderful natural food that we love. I know some of you are wondering what a Ramp is and what we use it for so I will explain that and share a few ideas on how to use them also. 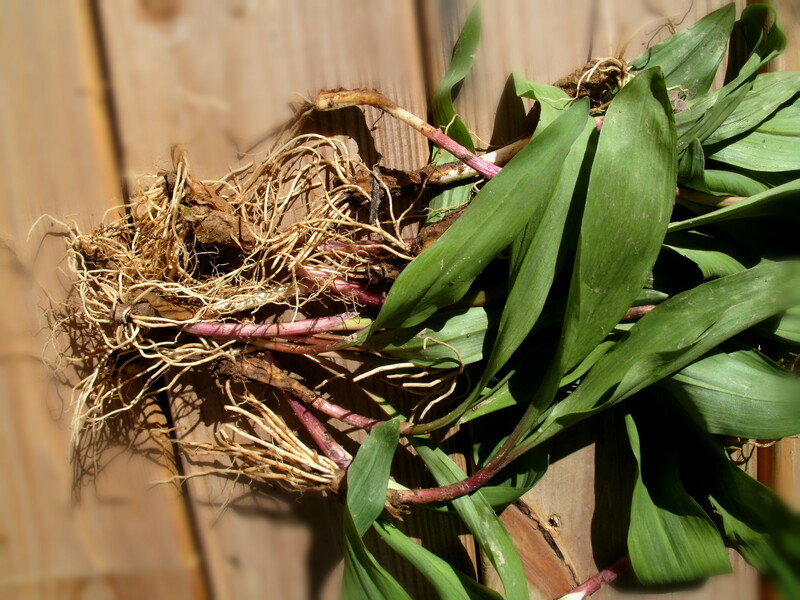 Ramps are a wild leak or onion with a flavor like garlic when cooked and hot like a green onion if eaten raw. 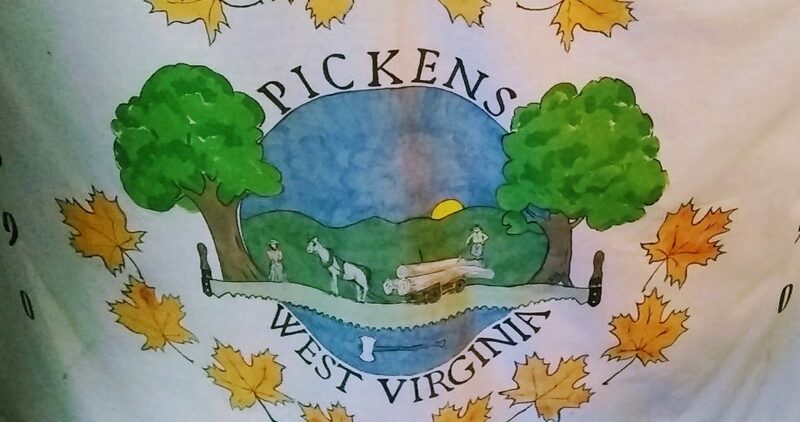 They are found all over the eastern united states but few states love and dig them like West Virginians. 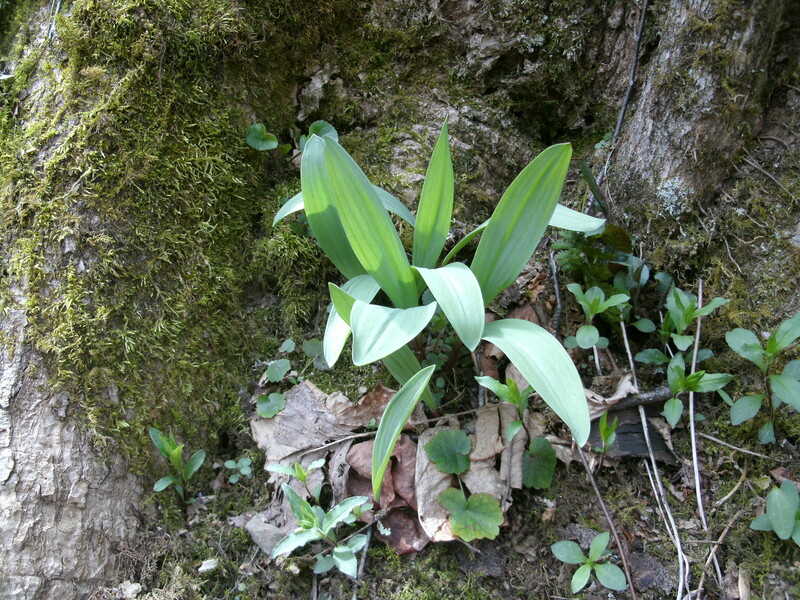 They grow in the higher elevations of our woods and are a bulb that tends to grow in clumps of 5 or six. 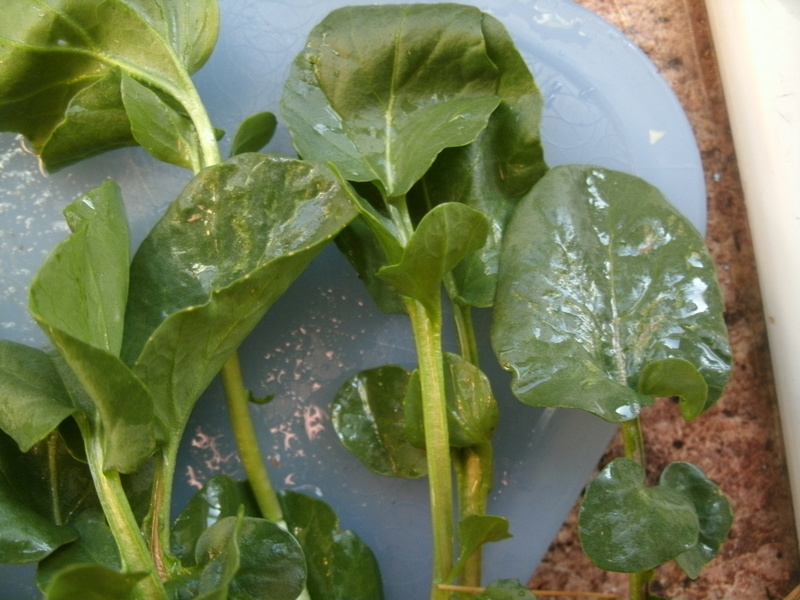 The leaves are broad and have a distinctive red seam down the center to the root bulb. 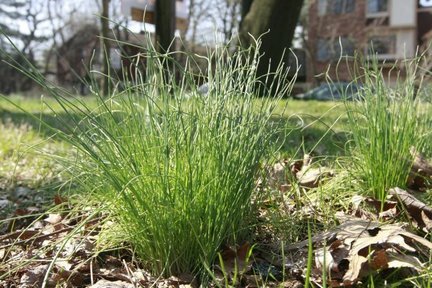 The bulbs are traditionaly dug in early spring and before the bulbs flower and the leaves grow to large and tough to eat. The Ramp does have one draw back its smell. 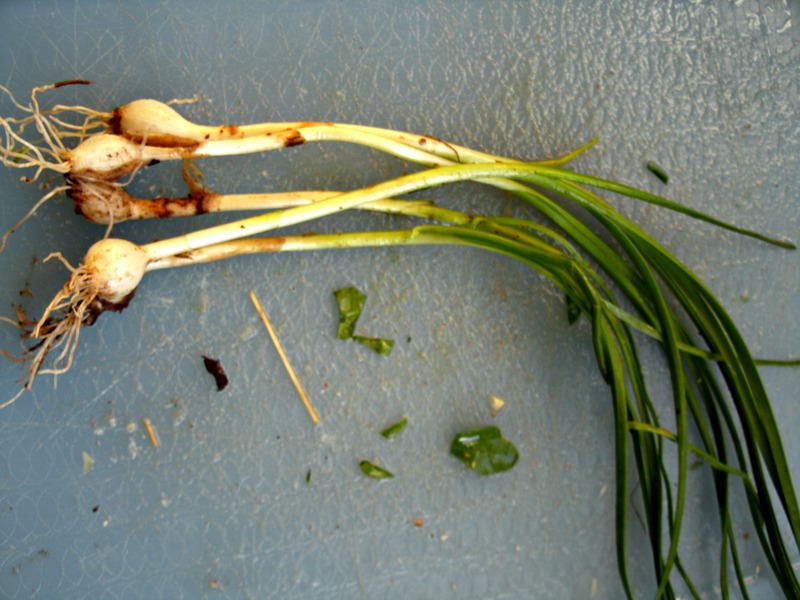 It is extremely strong, turning many people away from eating it… think fresh-cut garlic but 10x stronger… So when handling, eating or cooking the ramps that we collect we all “STINK”. It is actually joked about and people who do not like the smell have been known to leave a kitchen or home because of the pungent odor. 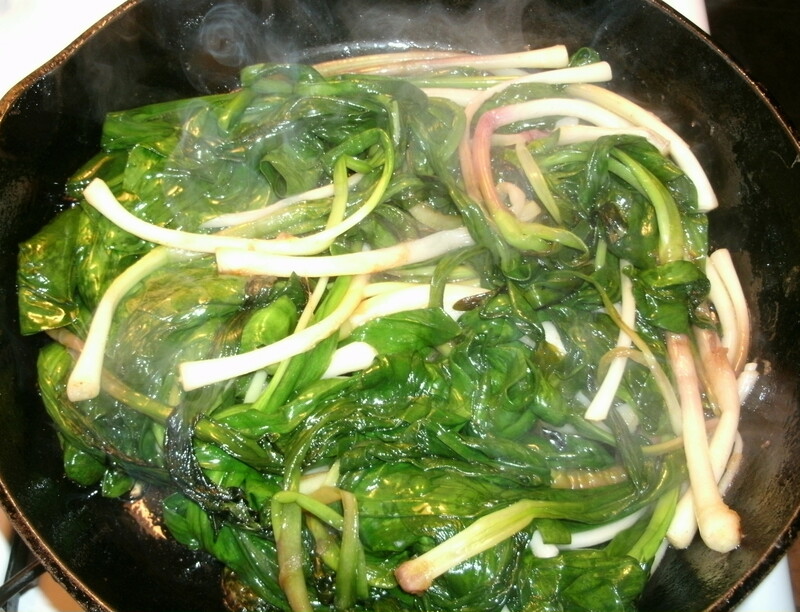 But, the rest of us who love them know and love that smell, it means that a dinner of fried, steamed, or raw ramps is on the way to the table. 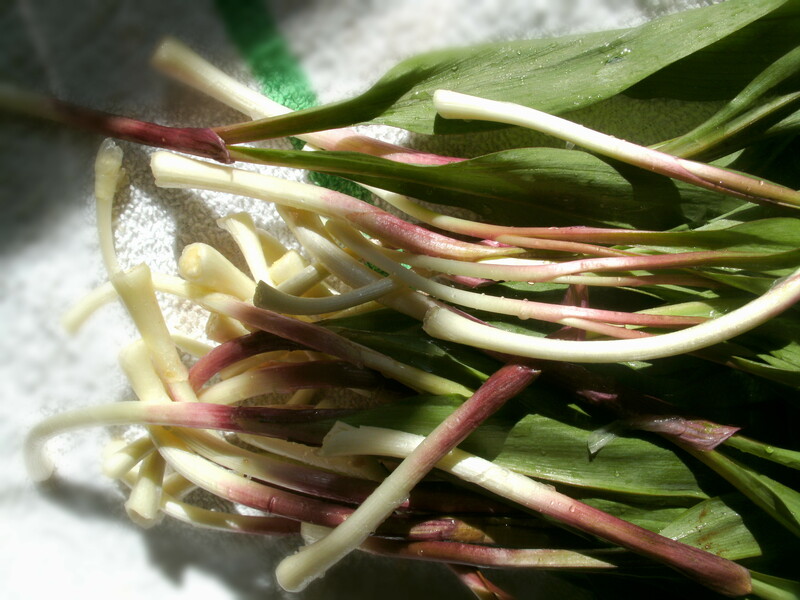 In our house, we use some of our collected Ramps for Easter dinner, it is my way of giving thanks for spring and a way to share them with a crowed of friends and family. 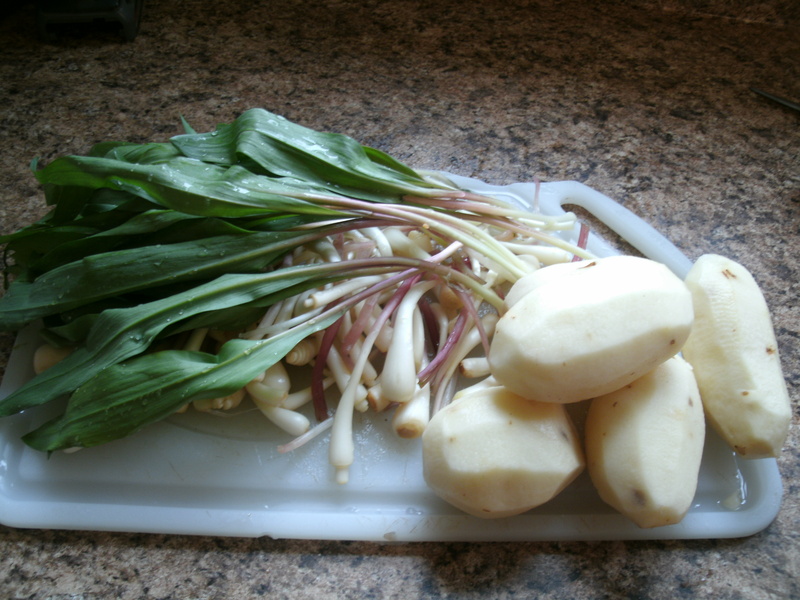 Basic preparation of ramps is simple, wash, remove roots and tough outer skin, (it appears brown), chop and cook. Our family likes to eat the leaves as well as the bulbs but this is a personal choice and does not add to the over all flavor of a dish. 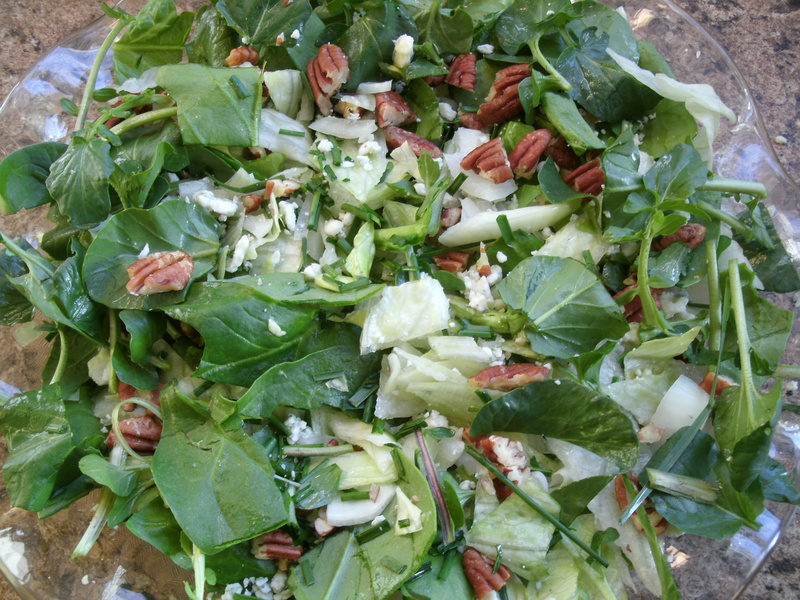 If the person is not used to eating greens it is not nessicery to force the issue. 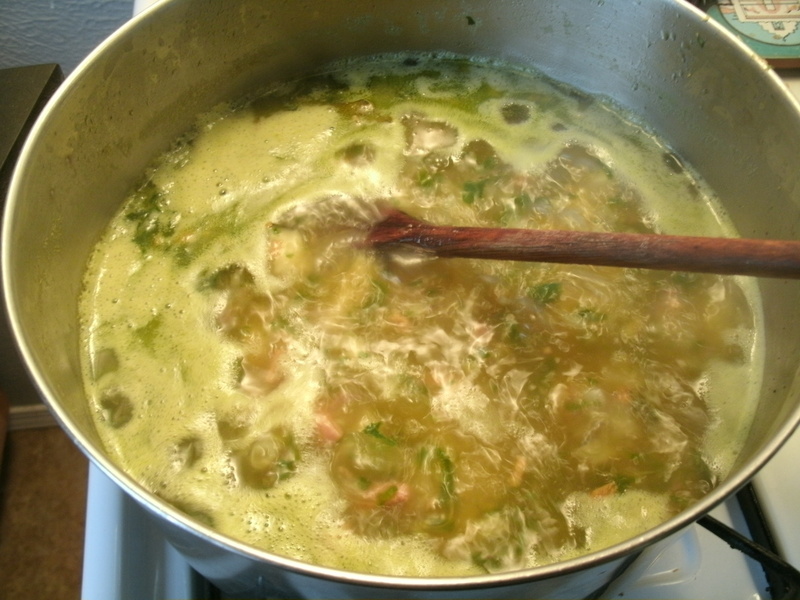 In certain recipes like soup I do skip using the greens because it does turn soup a bright green color. 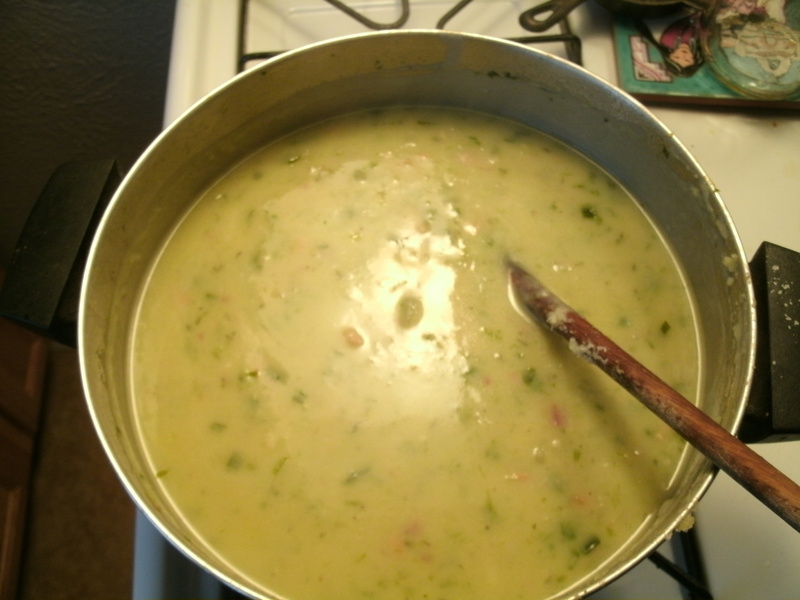 Our families traditional preparation is to take whole ramps about 1/2 of a pound or all that will fit in a skillet and about 1 Tablespoon bacon grease and saute them together. Ramp bulbs are hard so I add about 1/4 cup of water to steam the bulbs and keep the greens from burning or getting to brown,watch and stir, adding more water as needed to soften the bulbs until translucent… and serve. 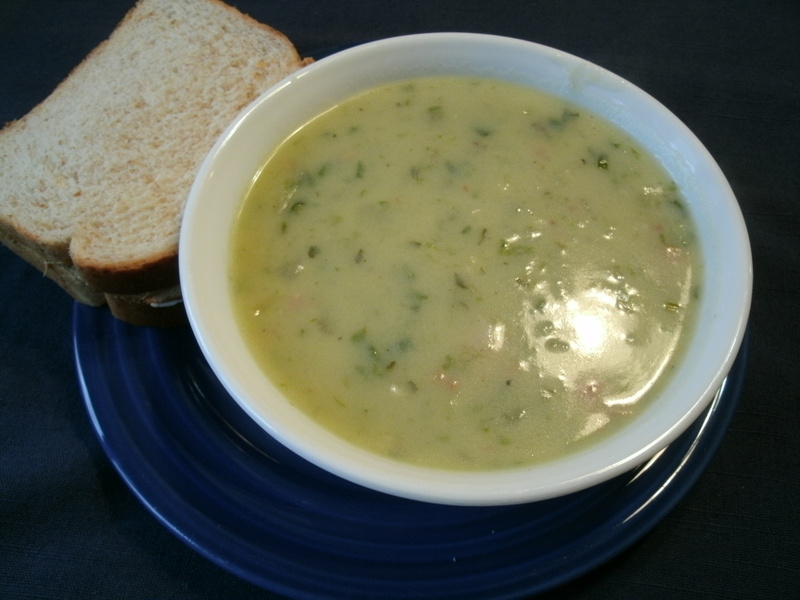 Most of the families we know serve their ramps with potatoes of some kind.We usually serve them with baked ham and hash browns, brown beans and corn bread.This is our southern style Easter dinner.I personally also like just brown beans, ramps and corn bread and a little ketchup to top it off for an easy dinner. 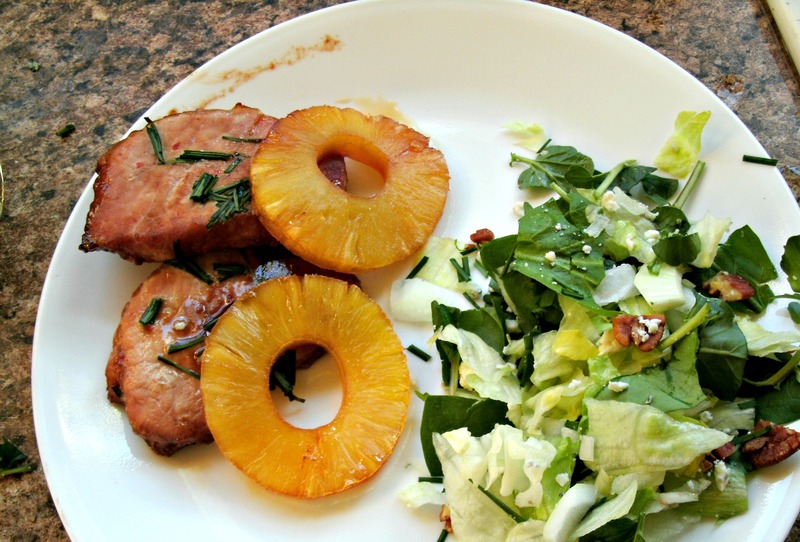 Their are hundreds of other ways to use the “Ramp” and her are just a few ideas that we use all the time to enjoy these wonderful little treats. I make a Stromboli with ramps that my husband and I just love for an afternoon lunch. 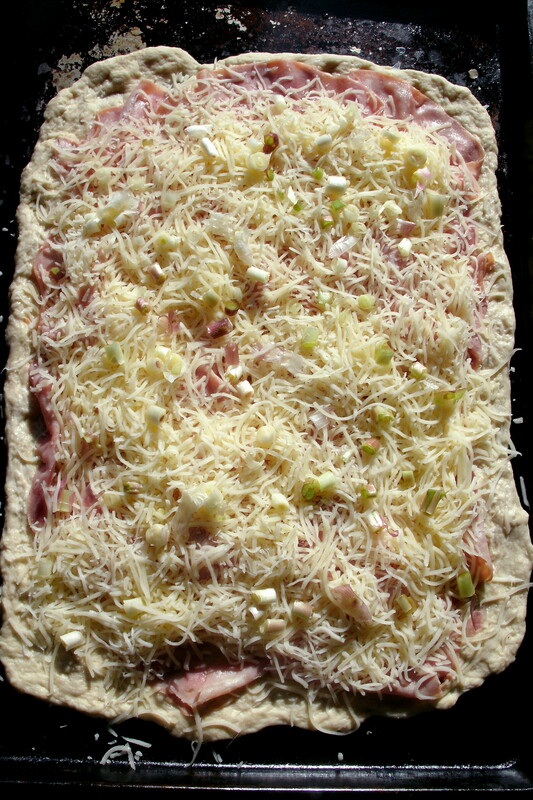 Using store-bought pizza dough, I fill the bottom of buttered sheet pan and cover it with ham from the deli, ( I like smoked ham for this), then shredded Swiss cheese (about 2 cups) then 6 to 8 diced rump bulbs, then a layer of corned beef for the deli, about 1/4 of a pound. Then roll up the dough jelly roll style and bake in the oven at 350 for 25 to 30 minutes until out side of dough is golden brown and cheese looks melted. We serve ours with a Mariana sauce on the side for dipping. 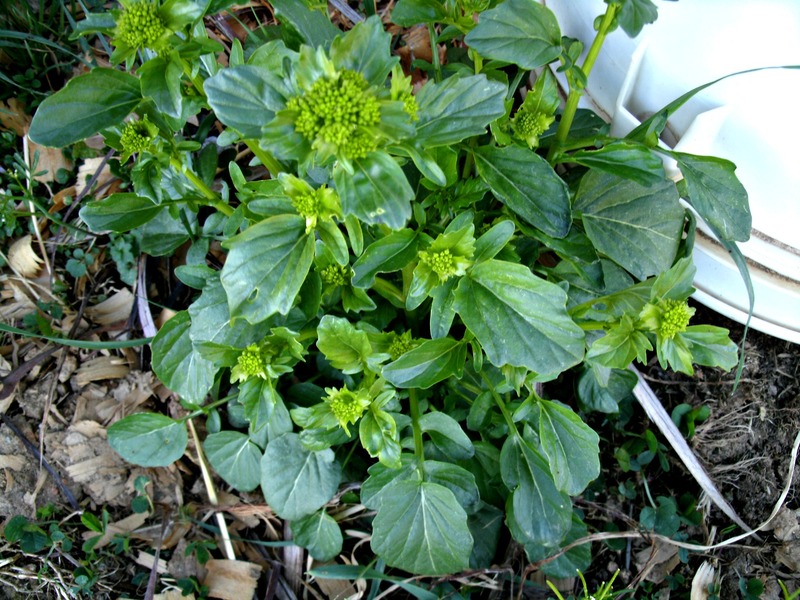 We also make a potato and ramp casserole that is very good in the fall and uses frozen ramps. They freeze well and store for about a year without any loss of flavor or crispness. Do not precook or blanch the bulbs. They need to retain their texture or they will be mushy when thawed. In most cases ramps can substitute for onions in any recipe the only thing that our family has had any trouble with is meat balls.Ones that are fried, not baked. It appears that the ramp is not able to withstand the temperature needed to cook meatball this way without scorching. 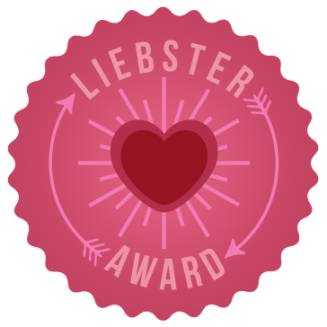 It can make a meatball taste terrible to have a scorched ramp all through the meat. Yuck. Peal and boil diced potatoes until barely tender to a fork, drain. Steam chopped ramps in large microwaves safe bowl cover with plastic and steam for 2 min. and then add potatoes to bowl. Fry sausage drain add to bowl, fry bacon drain crumble and add to bowl. Pour into 9 x 13 baking dish and top with cheese, bake uncovered for 30 minutes at 350 deg. 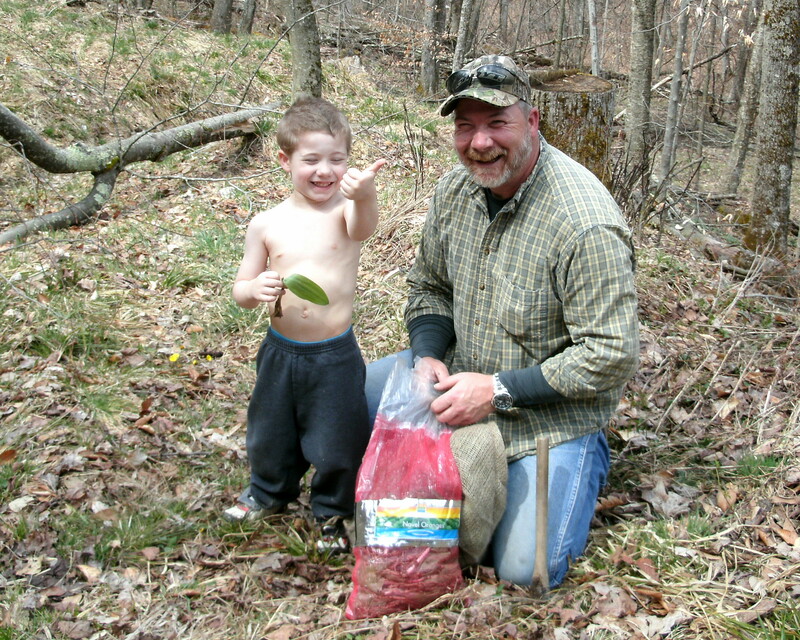 Next spring If you are lucky you may find me and my family with ramp hoe in hand standing on a hillside in the spring sun laughing and talking about fish and the smell of ramps. 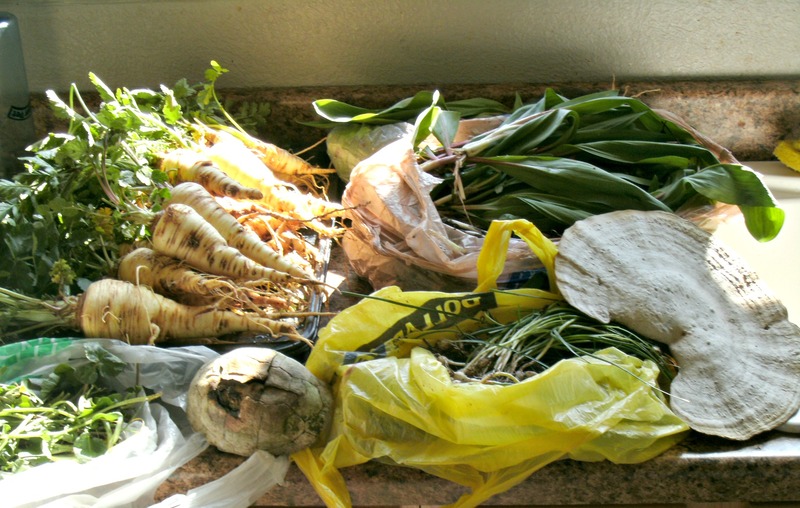 It is a gift that I am able to do so much foraging here in these mountains. Spring is only the beginning and I will looking forward to summer berries and fall fruit.I am blessed with everything that the earth gives to us freely to enjoy.